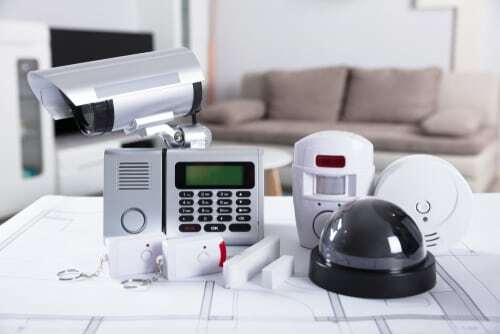 If you dislike contracts or long-term agreements or simply like to do things yourself instead of meeting a company’s requirements and restrictions, iSmartSafe might be the best home security company for you. Read our full iSmartSafe review to see what kind of DIY security system you can build if you choose this company. iSmartSafe is a unique home security business. It provides the ultimate DIY packages to monitor and protect homes. 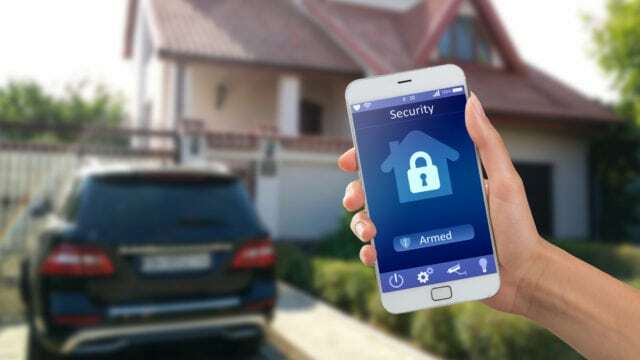 The Texas-based company has the goal of bringing home security into the homeowner’s hands. iSmartSafe is different from other home security companies. Instead of long-term contracts and expensive monthly monitoring fees, you purchase equipment and then monitor everything yourself. The products use the technology that you already have and integrate it with their high tech equipment, making monitoring your home seamless. Because of the flexibility of their packages, you can add and remove whatever equipment you’d like. Customizable packages: iSmartSafe lets you pick the equipment you’d like to use and customize your package to meet your individual needs. DIY installation: This company lets you do all the installation yourself. This allows you to save money on installation. No contract: You don’t have to sign a long-term agreement to use the equipment that iSmartSafe offers. No monthly fees: Unlike most home security companies, you don’t have to pay monthly monitoring fees. Self-monitoring systems: A self-monitoring system means that you don’t automatically get alerts sent to emergency services. If you aren’t keeping an eye on your phone, you might miss something important. iSmartsafe offers five protection packages, all at no monthly cost and with no required contract. The options consist of monitoring devices, cameras, sensors, and other higher-level home automation devices. Packages are expandable up to 100 sensors. If something triggers an alarm, an alert will be sent to your device. You can have notifications sent to up to six phone numbers. The packages support both wireless and cellular service so you’ll have a backup in case of a power outage. iSmartSafe offers several great features. We’ll go over some of these features in more depth in this portion of our iSmartSafe review. All of iSmartsafe’s products and cameras are compatible with the free mobile app (available on both iOS and Android). From the app, you can arm or disarm the system, no matter where you are. You can also do other home automation features such as controlling all of the security settings while on the go. Both the Economy and Premium package come with an iSmartsafe Indoor camera. 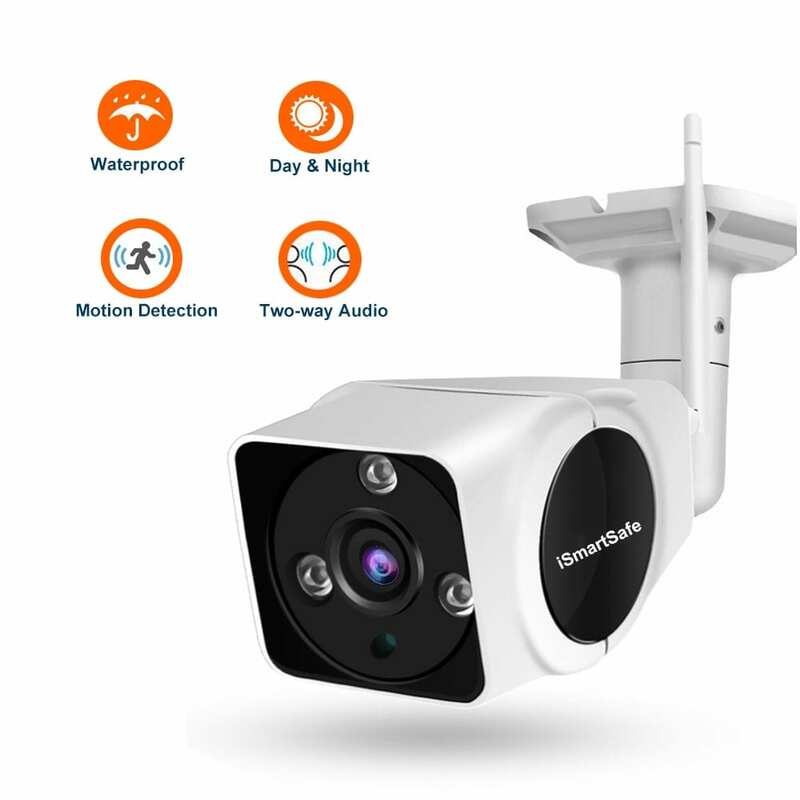 This camera provides optimum monitoring with 720p HD video, two-way voice intercommunication, motion detection, night vision scheduled recording, and alarm video recording. This camera also syncs with the control panel. This technology allows you to voice communicate with it and monitor the motion detectors and sensors. Just like the indoor camera, this smart camera has auto video recording, scheduled recording, and manual recording. The outdoor camera comes with a few more specs than its indoor friend. Monitor your home with the 1080p resolution, night vision, and motion detection. All of the footage and recordings are available from the mobile application. Don’t worry about the weather affecting your cameras either. The camera is waterproof. Be aware of who is at your door no matter if you’re at home or away. 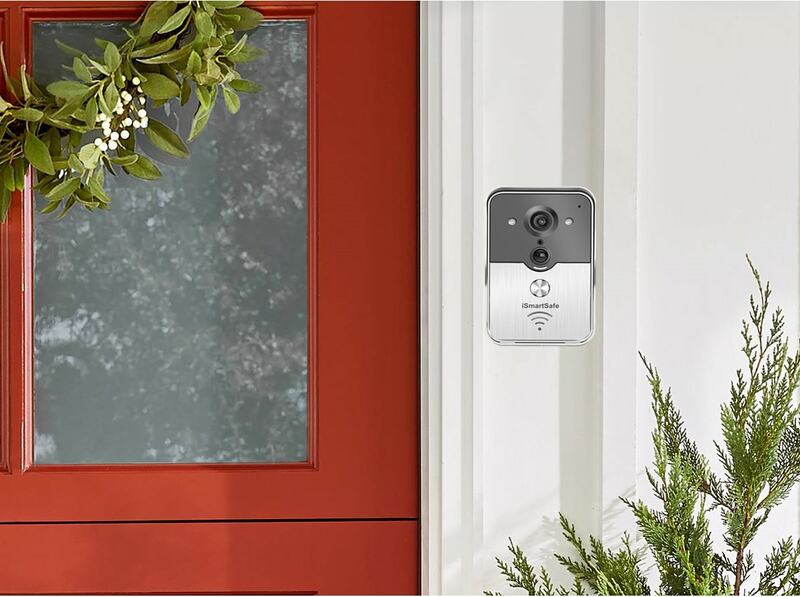 With the iSmartSafe video doorbell — an extra add-on for any package — you will always have high definition footage of who is approaching your home. Know whether or not your home is in danger of a water leak. This water leak detector is available as an add-on to any package. 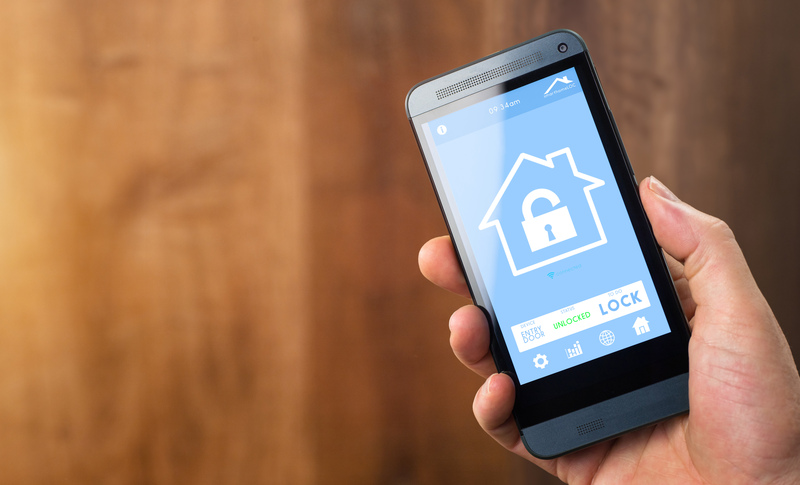 iSmartSafe is a self-monitoring home security service, meaning that you can monitor your home yourself using the free app. Because there is no monitoring service available, each package is a one-time fee of the cost of the equipment bundle. 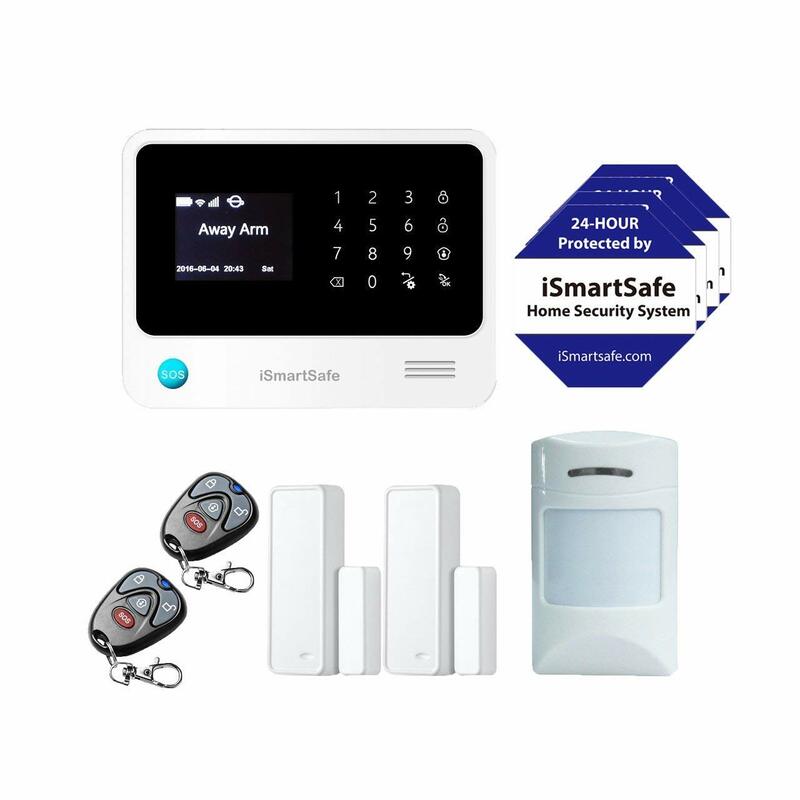 Here are the equipment bundles that iSmartSafe offers. The Basic Package is one of the two starter packages that iSmartSafe offers. This may be a good choice for a smaller apartment or home. The economy package expands on the basic package and adds in an indoor camera and an HD and night vision camera. The duplex package is the first tier in iSmartSafe’s Exclusive Packages. This option provides better support for the entryway of your home. This package expands upon the duplex package by adding more door sensors so that you have ultimate protection for your entryways. This is the highest level of iSmartSafe packages. It offers full protection for inside and outside of your home. 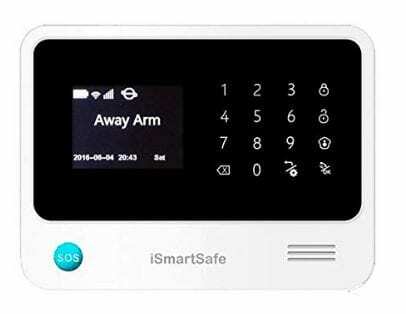 The great thing about iSmart Safe is their no-contract policy. But if the equipment doesn’t work for you, you can return it within 30 days for a full refund. After our iSmartSafe review, we think this is an excellent option for the homeowner who wants to protect their home but doesn’t want to commit to long-term, expensive contracts. Instead, the homeowner can take their home security protection into their own hands. For some people, self-monitoring may be the ideal option. Busy people, however, may not want to need to be paying attention to their alerts and may benefit from having a company do the monitoring for them. Overall, iSmartSafe’s equipment is up to par with the technology standards of other home security companies. We recommend this system for people who are comfortable setting up their unique system, don’t want to pay monthly fees, or don’t like long-term monitoring contracts. If one or more of these things fit you, give iSmartSafe a try. Do you have this home security system? If so, leave your own iSmartSafe review below. 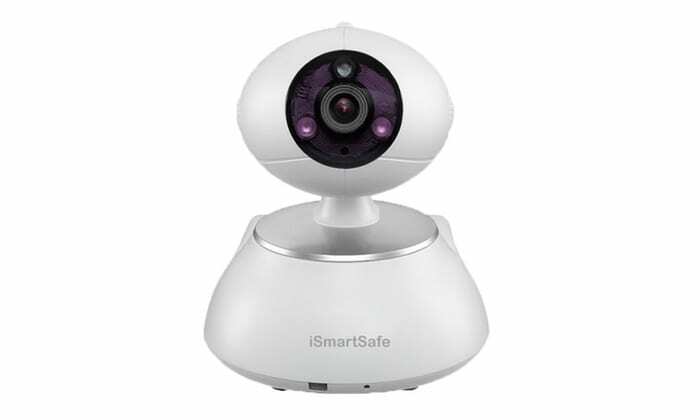 We like iSmartSafe home security system. Easy to operate with App.